aside and setting up tables in that space. so much fun creating this table for her. 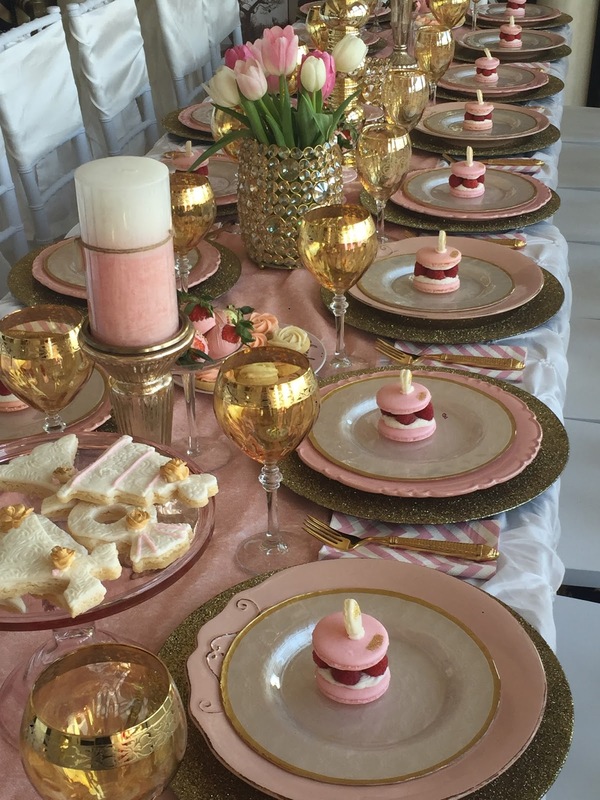 The table was set in pinks and golds and sparkle. vase were a beautiful centerpiece. 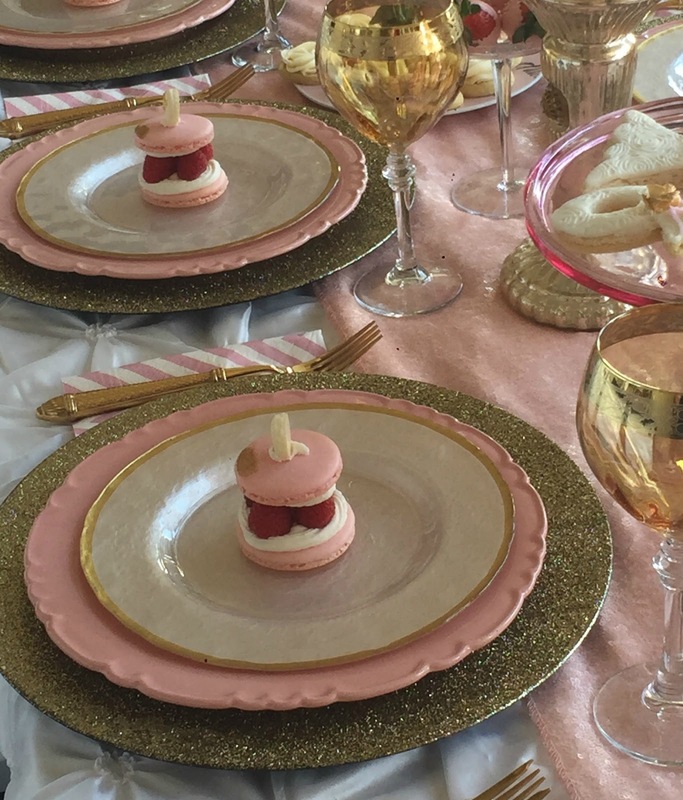 pink plates, and gold rimmed irridescent white plates. 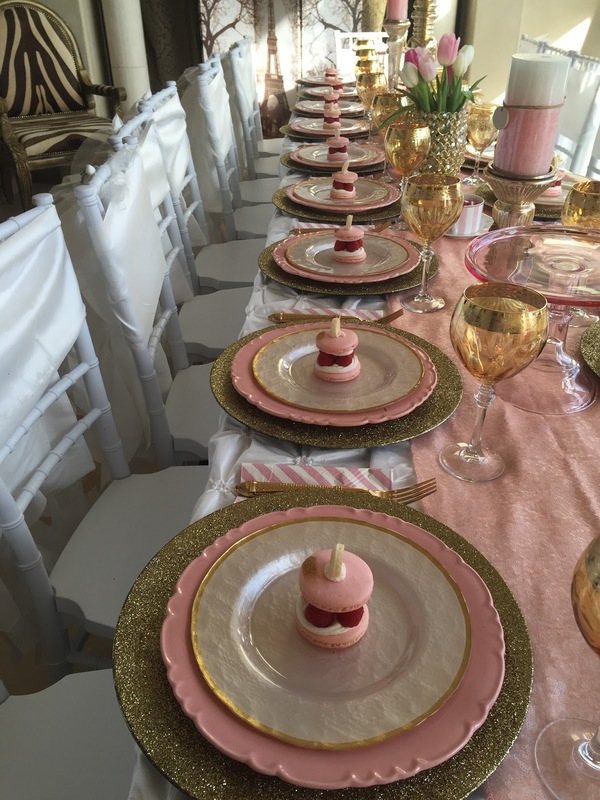 The desserts matched the plate stack color scheme. were surprised by this table? all part of the decor, of course! pretty pink polka dots for the party. of eating their main dessert first or not. right into dessert!! Loved it!!! her Aunt Vicki, who flew in and surprised her. family favorites, and many that I have blogged. love a copy of the cookbook. so that I can contact you. 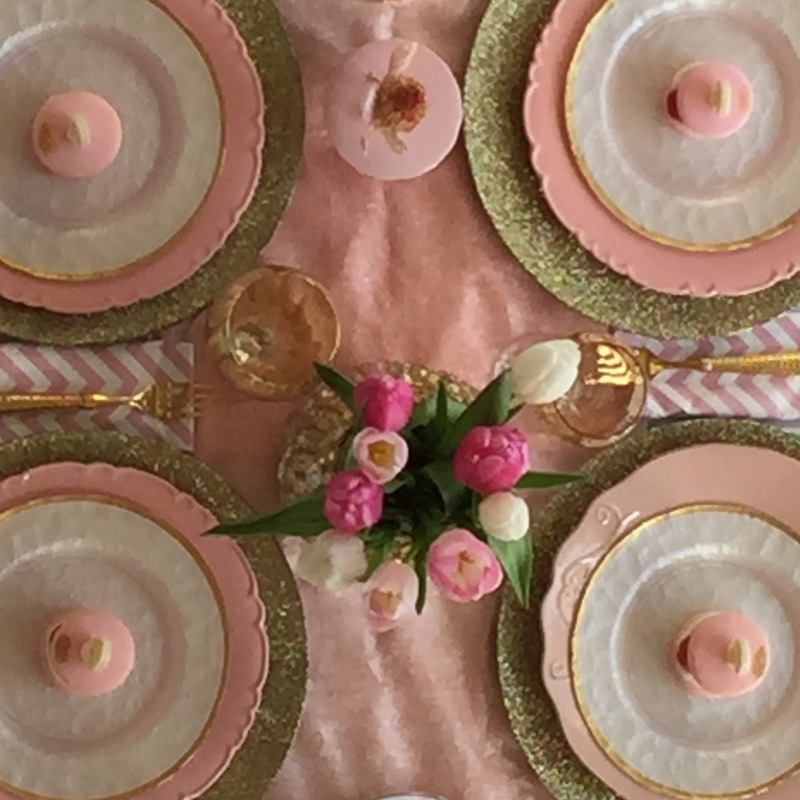 I follow you and love seeing your tablescapes and know your neice Laurel in San Antonio. I Also follow you on pintrest as well! Can you get the cookbook at stores yet? This would be a great gift for Connor's upcoming wedding, he could add it to the one you gave him for graduation! I'd love one too! Are they available to purchase? This shower was beautiful, I am going to show Melanie (Connor's finance) this is part of her color scheme also! Well done Jackie! What a beautiful table! I love the pretty colors and the pretty desserts! 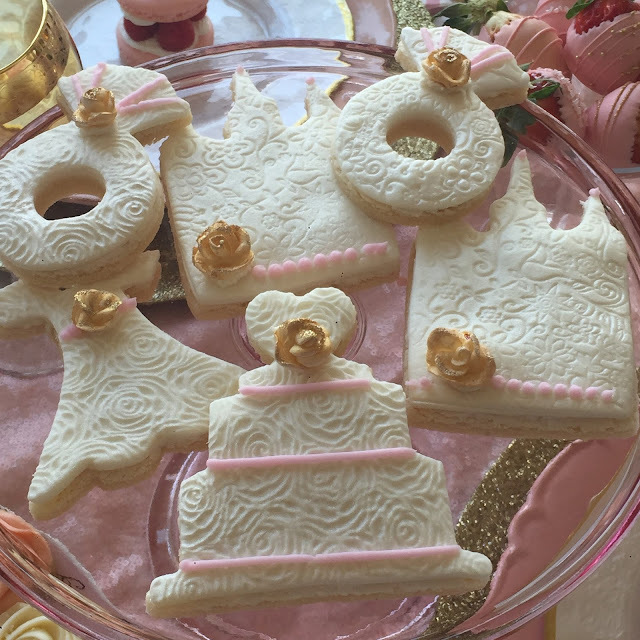 And I absolutely love the temple cookies!! I would love to learn how to do the design on those. Everything looks beautiful!! That was heavenly! Lucky bride to be! I think a shower is one of the loveliest entertaining possibilities and you set the bar very high for a beautiful shower. I would love to enter for the draw and as soon as I get home I will follow on Facebook. I'm a fan and can't wait to see your cookbook! You need a decorating book, too! Love the way you decorated the chairs for the shower! What a gorgeous table setting and desserts made for your niece's shower, Jackie! It is absolutely gorgeous and I knew she must have been so thrilled to enjoy this special setting for her happy day. I am excited to see your cookbook! Congratulations! Your desserts are always top notch and so elegant looking. I'd be so honored to win a copy. We are also friends on facebook! Thank you for all these chances! 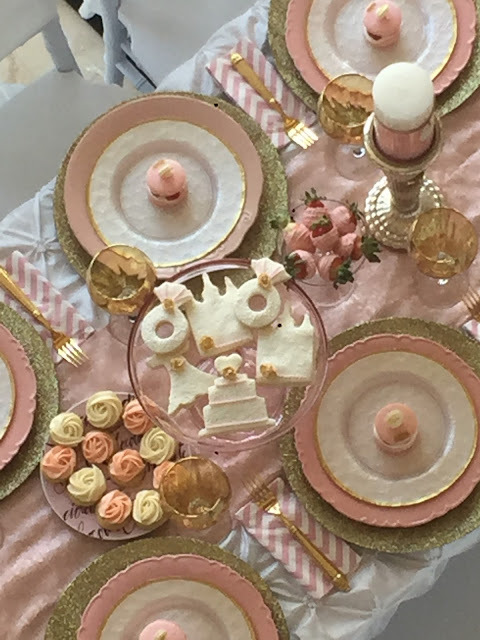 You have done some amazing tablescape a, but this one might just be my favorite! I have your cookbook and it is great! But I would love another! It was so fun to get all cosey with a fire and read your cookbook cover to cover! Beautiful!! I follow you on Instagram!! 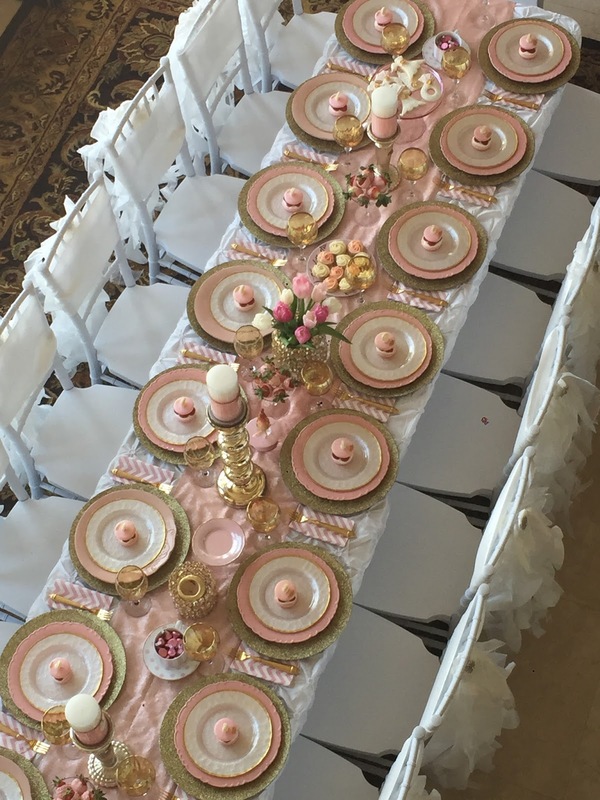 Jackie, you have outdone yourself, this table is truly stunning! The pink and gold are gorgeous together. Your beautiful desserts would tempt anyone to eat them before the main course. I wish your niece and future husband a very happy life together. I would be happy to become the caretaker of your cookbook...and yes, I am a follower. Beautiful shower! I am making notes for when my daughter gets married. I love the colors and food ideas. I would also love one of your cookbooks to use for entertaining. I always have to return to your blog to copy down recipes, so what a joy it would be to have it already in a book. .....and now following on Pinterest and have sent a facebook message! That party is so pretty! Those macarons look amazing!!! They look professional! I'd love a copy of your book. Jacqueline, this is the prettiest bridal table! 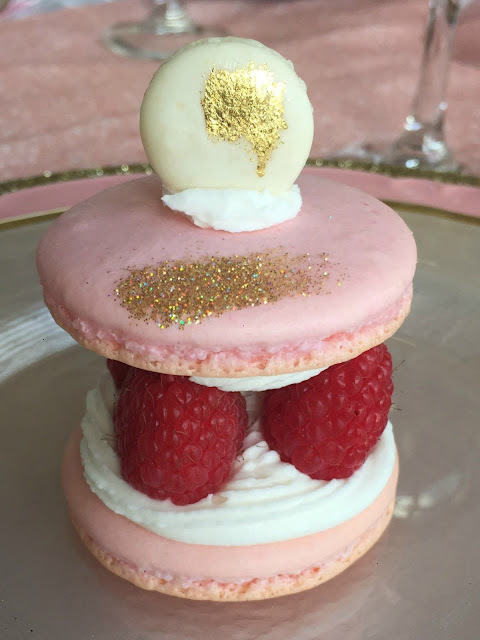 Love the soft pink with the gold, and your desserts are beyond amazing. 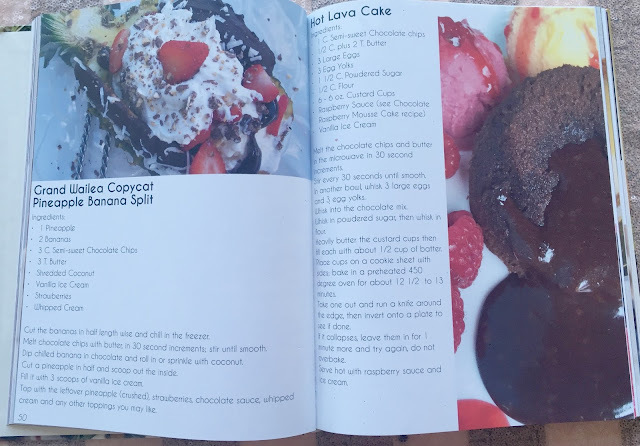 I would love to have a copy of your recipe book. What a treat that would be! 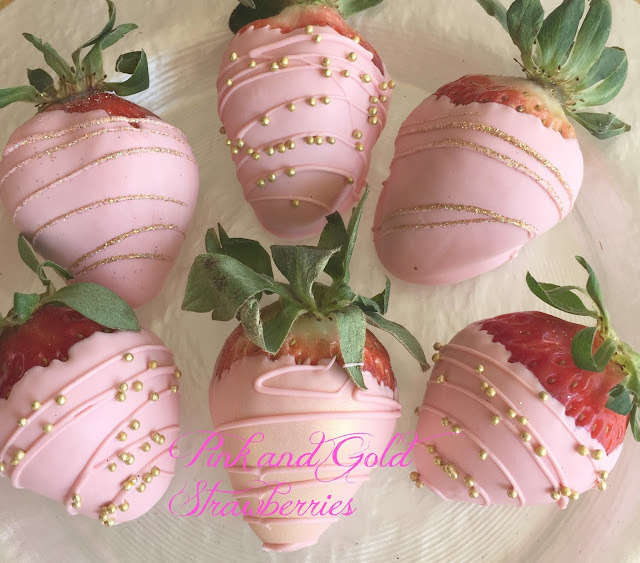 I don't have your talent to make such pretty desserts, but I'd like to try my hand at it. 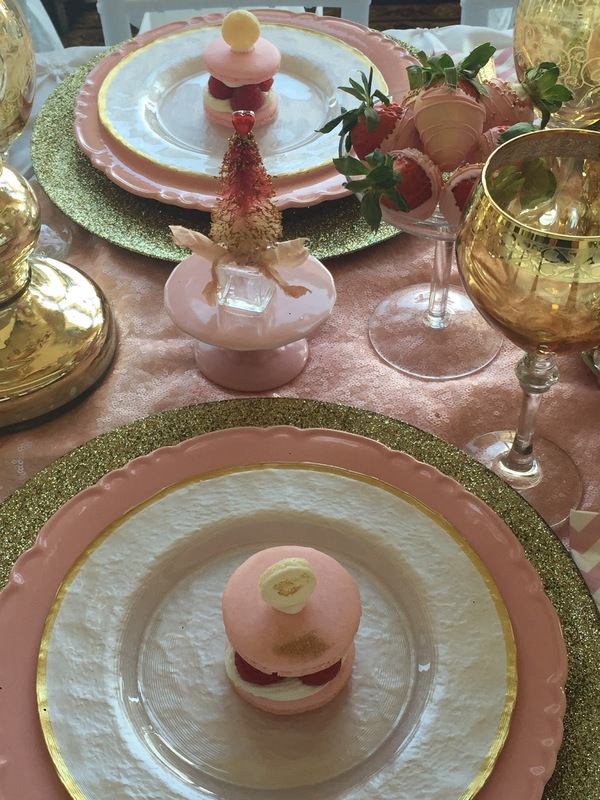 Thanks for the chance and thank you for sharing this amazing tablescape. I follow all of your beautiful Pinterest Boards. Yes, again. I follow all your pretty images on Instagram. I always enjoy seeing your party tables. This one is as outstanding as I knew it would be. 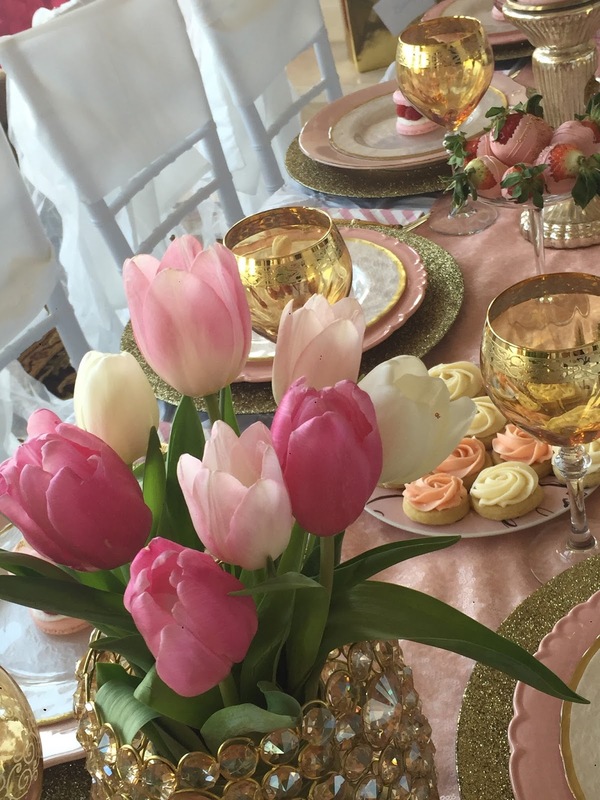 The colors are so feminine and perfect for a bridal shower. I love the gold sparkly chargers. 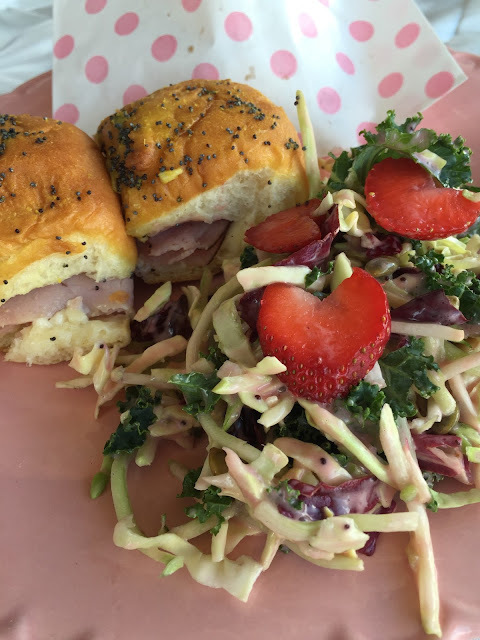 Those strawberry hearts are the finishing touch to the salad. And the desserts? Oh, my. Could they be any more enticing? Thank you for the giveaway. Of course I'm a follower. I just love your tablescapes and the food looks divine. Would love to have cookbook so have it handy when do special dinners. I do have a question? How do you do the Gold mercury glass? I've done the mirror paint but not seen the gold. How is it done? I'm a gold kind of gal myself. Thanks keep the tablescapes coming my closet can use a wee be more stuff. Your shower was stunning. I have been following your blog for a couple years now. I am getting ready to follow you on Instagram. 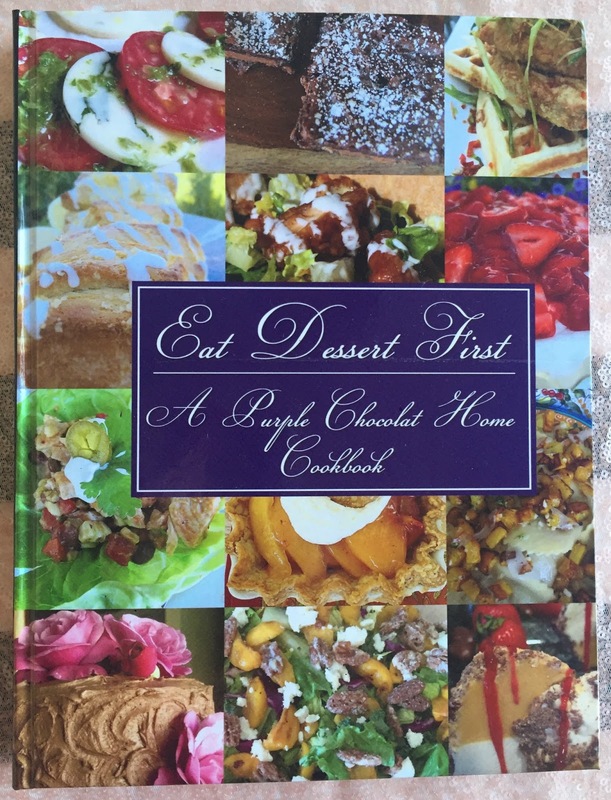 I did not know you had a cookbook and would be thrilled to win one. I'm swooning just looking at the pictures. Everything is gorgeous! Lovely job Jackie. I'd love your new cookbook. What a simply charming, absolutely YOU setting---ladylike and elegant, with every touch arranged perfectly. And OF COURSE, Dessert FIRST! We even served WEDDING CAKE first at a small family wedding---I'd made the cake, an orange velvet with vanilla buttercream, and since they'd cut the cake while making photos before we sat down to lunch, the scent of rich buttery orange just flowed out around the table. DS#4 remarked that just SMELLING that scrumptious cake made him want that first---so we just cut away and the waiters served slices with ice cream. We enjoyed that before they brought out the Chicken Salad plates, composed in the kitchen. There was nothing hot that would get cold waiting, so we joined in the why not? whimsy and went with it. 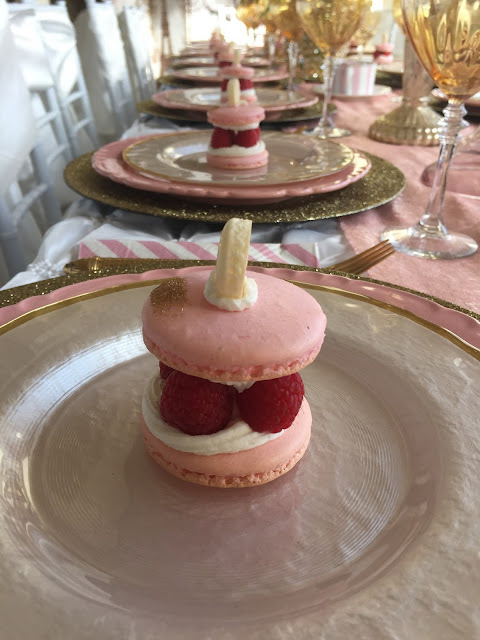 Folks still mention that topsy-turvy wedding lunch, and how fun it was. (And quite a few people had seconds on cake AFTER lunch, as well). And I do feel that I should recuse myself from entering, for I'm so enjoying the wonderful pink cupcake teacups---just sent one off to school in Sweetpea's lunchbox this morning, in fact. But I'm certainly looking forward to holding that book in my hands, as soon as I can get to B&N. I just know the photos and recipe for the Red Velvet and that glorious frosting are in there. Congratulations on your new publication! Beautiful, elegant, love it! This is the first time I have visited your blog and WOW am I impressed. I see how talented you are. Jacqueline, I follow you on Instagram, and am in total awe of your creativity. I hope one day I can think out of the box and create such gorgeous food and party ideas. I would love a copy of your cookbook, I truly enjoy your blog and pinterest. Beautiful table art! 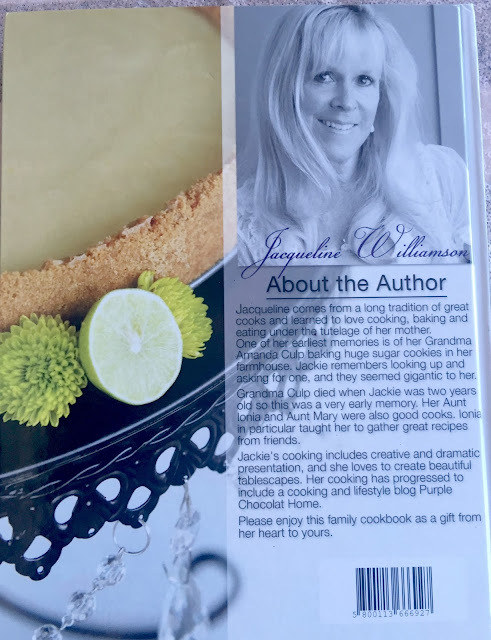 Would love a copy of your cookbook! Can you tell me where you purchased the chip bags &/or what size they are? Would be perfect for my upcoming shower! Thanks! I also follow on Pinterest. Thanks! 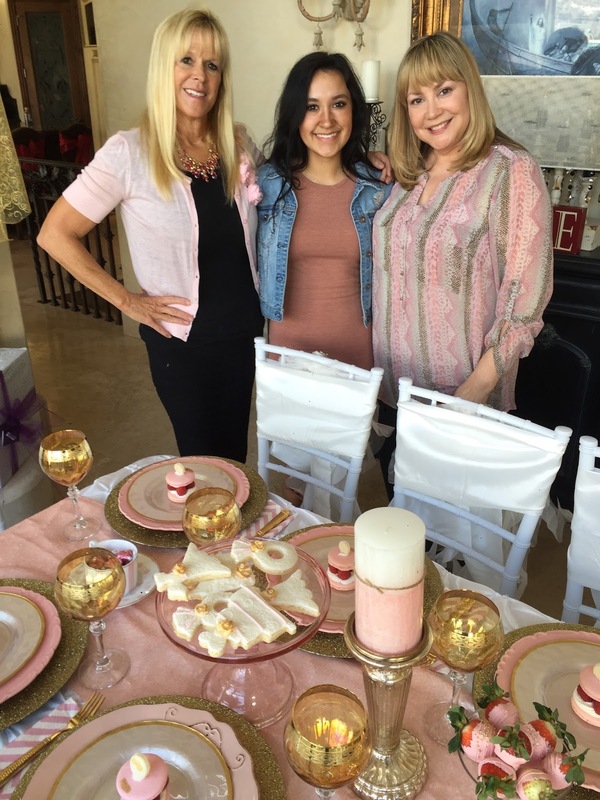 I loved the shower table setting and all the beautiful treats! 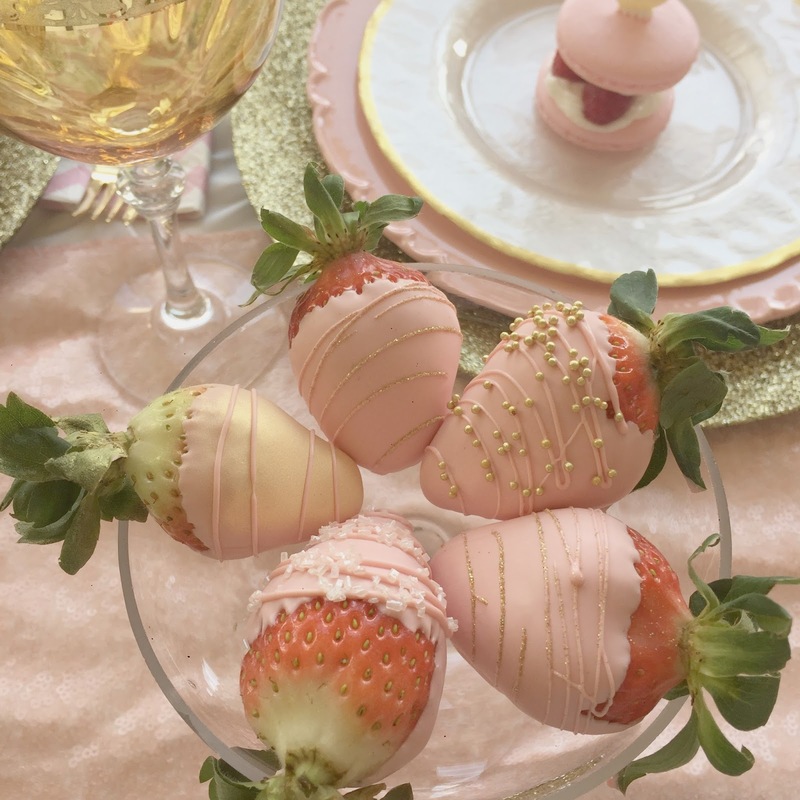 I will definitely try to recreate the strawberries for Easter. 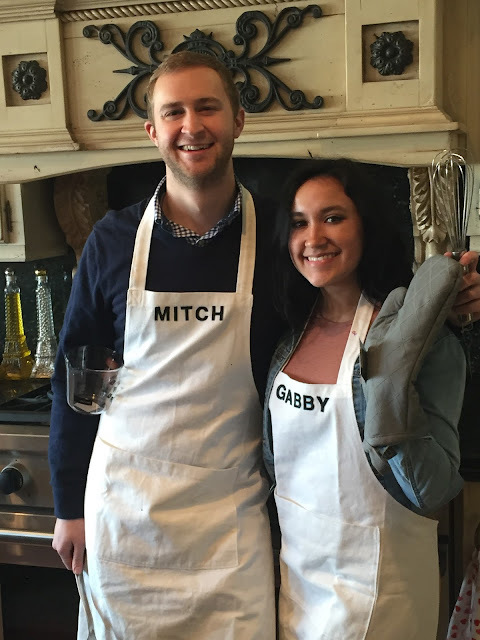 I follow your blog and I would love one of your cookbooks! Fingers crossed! Yes to the chance for the cookbook. Yes, I follow you on Pinterest. Oh Jackie, This was a gorgeous occasion. What a lucky bride to have such a elegant party. Those desserts are amazing. Just beautiful! I am so glad you have published a cookbook. Who would not love to win. I am a follower of your blog for years now. What a beautiful set-up for a shower! 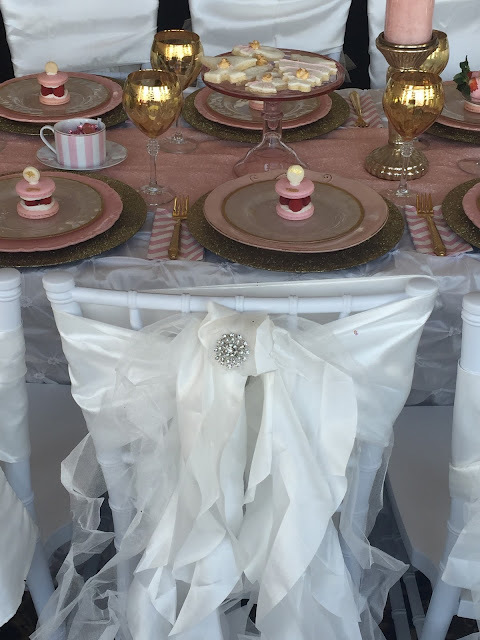 Love the way you incorporated the bride's colours and how the food "matched" the décor. I enjoy seeing tables set for many guests and yours is spectacular. I'm sure the bride and guests enjoyed all of your efforts. Would LOVE to have your cookbook - great title! Very Beautiful colors for the shower theme. 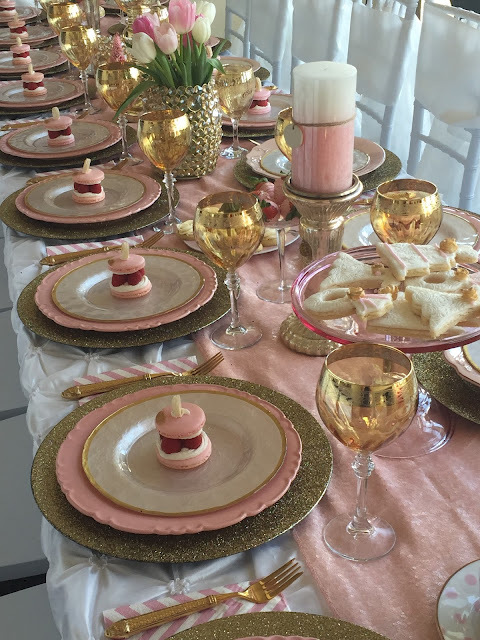 I love this pink and gold theme! Beautiful! I love your blog and have followed for a long time. Name is two of my favorites......... I have loved purple since I was a little girl. Chocolate - let's just say I am addicted. Since I am from Idaho I love following someone from UT. I love tablescapes even just for two of us and you have fun ones. Great recipes! Thank you! Beautiful table. The food looks divine. I am your newest follower. Of course I'd love a copy of your cookbook!! That would be awesome! Love following along with your blog!!! ooooh! Would love a copy of this book, If I don't win, is it available on Amazon? Hello Jacquiline, what a lovely party for your niece! Just beautiful! I'm your newest follower on google +! That is one amazing shower - such attention to detail and color scheme. 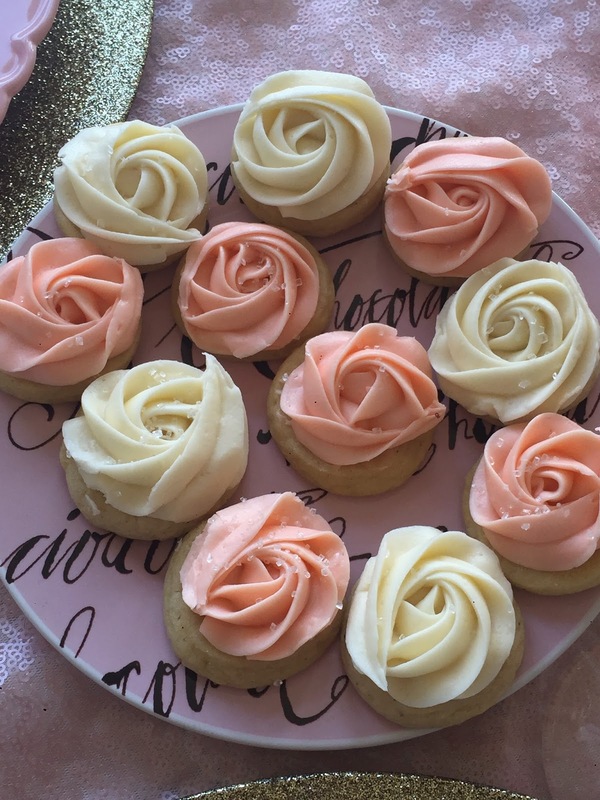 Gosh girl, this bridal shower looks as thought it just stepped out of the pages of a magazine! The décor is fabulous and those desserts, wowzer! I want one of each please. :) Thanks so much for sharing with SYC. I will be featuring you tomorrow. Happy to be an owner of your wonderful cookbook! Wow, Jacqueline! This is one of the prettiest showers I've ever seen! The table setting is enough to knock my socks off, but then the desserts and the food. . .wow! I would love a copy of your cookbook. I follow your blog, and also on Facebook. Gorgeous table and such a pretty shower. Love the colors she chose. Eat dessert first is an awesome idea! The chairs are all decked out so pretty. A beautiful affair she will always cherish. Not sure why I am just seeing this post. It is a gorgeous post. I have been following you for a very long time...Google+, instagram, pinterest and more. How exciting to have your own cookbook. I would love the chance to own one. Oh my, I'm absolutely speechless. As one entertainer to another, this is magnificent. Isn't it wonderful to lose ourselves in creating not only a beautiful table setting but the food as well? It's obvious you find complete joy in giving and serving others. I love to take one little idea or theme and then just run wild with it. I'm so looking forward to following your blog. I'm definitely running out to purchase your cookbook (since I can't remember ever winning anything, haha). Which store are they being sold at? I know this will be a fun book given all your creative ideas. I follow. Oh my....I know your neice all the attendees were ASTOUNDED by your beautiful table when they were showered with your desserts! I think I broke my pinning finger this morning! Congratulations on your cookbook publication, I know the winner will be thrilled!